It is another varied week of new releases with a a brilliant PC 2D horror point-and-click adventure port, an endless runner/mini game mashup, a frantic multiplayer racing game, and a number of other fun casual titles. Let’s kick things off with Rooms of Doom: Minion Madness, a mashup of endless runner and Wario World-style mini gamefest. Prove your worth as a new minion to Dr. Doom and “run, jump, slide, fly, swim and barrel blast your way” through Dr. Doom’s endless torture rooms, each of which features a different one-tap arcade, dexterity challenge. Along the way you’ll unlock a cute cast of crazy animal mashup minions from the Rhibra (half rhino/half zebra to the Cat-in-Cat (literally one cat inside of another). Each minion has their own unique skills which may offer a score bonus or extra protection in certain room types. It’s a quick, fun little time waster that you’ll find yourself coming back to when you have a few moments to spare to unlock and new rooms as well as unlock and upgrade minions. As the name suggests, ReRunners: Race for the World is a sort of speedrunner platformer hybrid where you frantically run, jump across some crazy levels trying to reach the end of the course before the your opponents, who are ghost runners of other players from around the world. There are over 60 unique levels offering a wide variety of wacky locations to race in as well as a whole cast of outrageous customizable characters. As you play, you can level up your characters to unlock new abilities like double jumping, gliding sprinting and more that can help give you an edge in later races. 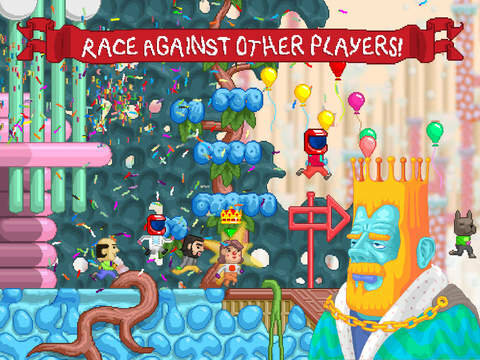 While it does have some of the usual free-to-play trappings, including multiple currencies, and you must be connected o the internet to play, ReRunners offer some silly, lighthearted racing ridiculousness. Ya Gotta, Piñata! is an adorable snake-like game that I got a sneak peek of at PAX East earlier this year. You play as Peppa, an unfortunate piñata who is trying to safely navigate a backyard birthday party full of hyper children, eager to take a swing at any piñata they see. 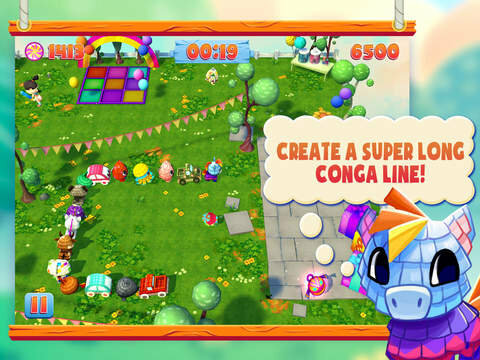 You must dance your way around the backyard, avoiding contact with the children while bumping into other piñatas who will then join your conga line to freedom. The more piñatas you pick up, the longer the line get, the more winding it has to do and the greater the potential that you may lose one of your friends to a kid with a bat. At anytime you can run over the dance floor to drop off collected piñatas and guarantee their safety. If you get hit then the level is over. There are power-ups to make you temporarily invincible to knock out kids and a number of different backyard layouts and you can collect candy to unlock additional piñatas. My younger daughter has been really enjoying this one. 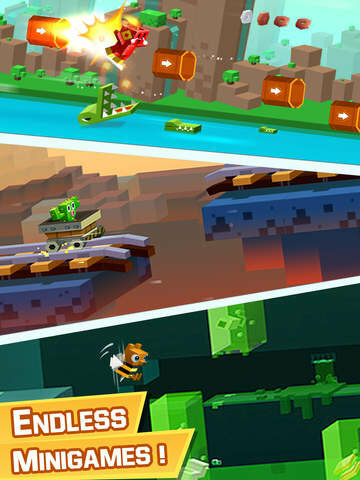 Worthy of its feature from Apple, at first glance, the marvelously minimalist Cubway looks like the latest challenging one-touch arcade game where you are simply trying to safely navigate an object through a danger-ridden path. However, it is actually a bit deeper than that, with a nice little puzzle element to it. Sure, players still need to navigate a trap laden level to get their piece safely to the end destination, but the typical approach of speed and brute force will most definitely result in a loss every time. Instead, in Cubway, players must carefully explore and experiment with each level, moving forward (or backward) to trigger events which cause objects to slide out of their way, explode, open, close, rotate, or just to avoid some danger from an event you triggered. Figure out the right combination of moves and timing to pass the level and unlock the next level and animation in the overarching abstract story. This was one of the nice surprises this week as I went into it expecting one type of game and got something different and fresh feeling. This game is currently available at a special launch price of 99¢. 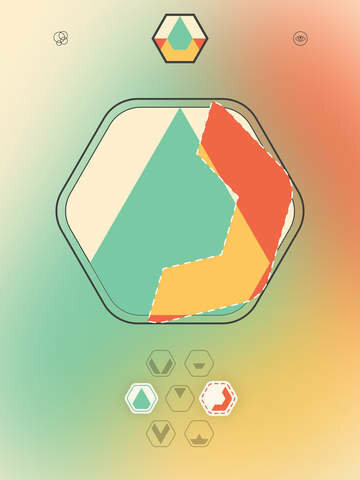 Colorcube is a really solid pattern matching game where players rotate, color and hide/show oddly pieces within a hexagon in an attempt to match a specified pattern. It is sort of like tan-grams taken to the next level, because you also have to deal with the whole color aspect, which may involve using colors to hide certain pieces, portions of pieces or combine colors to create new colors. Though (at least initially) there are only 4 pieces and 4 base colors to choose from, there are some tough puzzles to solve. 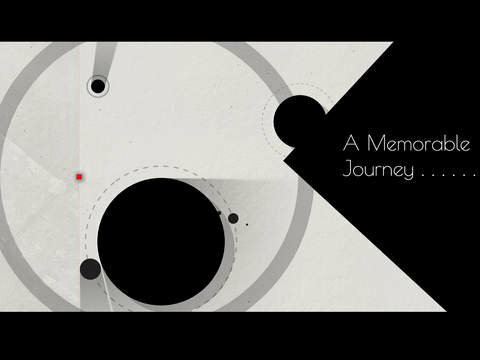 The game offers up a zen-like experience with no timers or star and puzzles seamlessly flow from one to the next, allow players to lose themselves in the game as they solve puzzle after puzzle. This was one of list week’s delightful little surprises. Originally released on the Steam last October, Bulbware’s 2D point & click horror adventure Bulb Boy, is a welcome new iOS port. 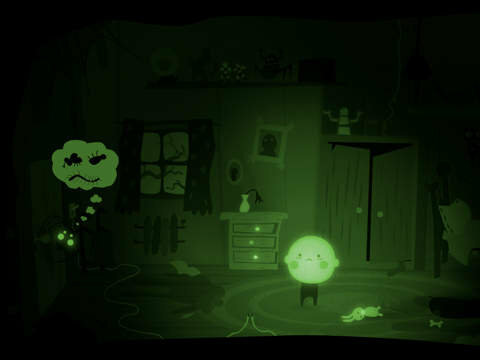 Both somehow charming yet frightening at the same time, the game tells the tale of a little light bulb boy with a glowing head. There is no language required , you move bulb boy and make him interact with the environment solely with taps. A dark game in many ways, light boy himself is the one beacon of light and hope as he battles grotesque monsters and solves puzzles to help this unique little boy save his lost loved ones and drive the twisted narrative forward. Despite the cure name and lead character, this is most definitely not for kids. Within minutes of starting the game this will become abundantly clear and I found myself instantly entranced and a little repulsed by this whacked out story and I knew I had to play more. The game’s simple one-touch controls, yet challenging puzzles work very well on a tablet. Well worth the money, iOS gamers are once again quite fortunate to get another of these rather original PC indie titles ported to mobile. 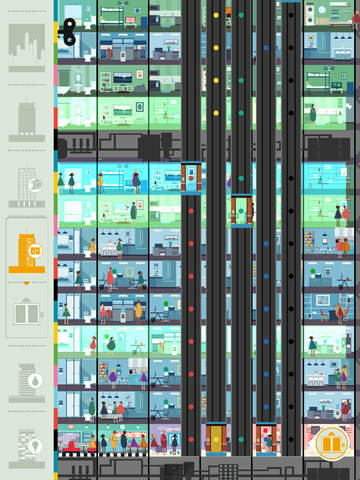 Tinybop has just released their latest app, Skyscrapers by Tinybop; this is the 7th title in their Explorer’s Library series (previous titles include The Human Body, Weather and The Earth). In this one, kids get to construct and explore skyscrapers. From adding floors to exploring underground. They can see how things like lightning, wind and earthquakes affect such a giant structure, see how the elevators work, how lights and electronics in individual apartments affect overall electrical usage and even get a peek into how the building’s septic system works by clogging toilets, flushing gold-fish and more. Then there are all the people who live in the building. Your kids will delight in seeing all of the buildings diverse inhabitants going about their daily routines. This is another wonderful imaginative play app that is both educational and fun for kids of all ages. 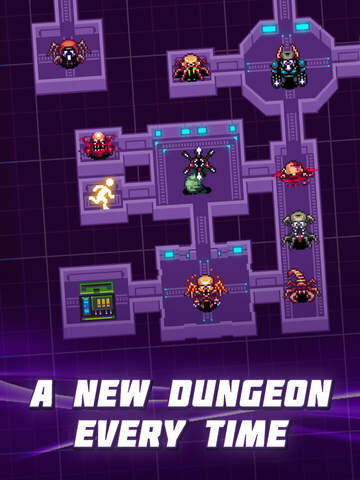 HeroCraft’s latest offering, Dead Shell: Roguelike RPG is a light, 8-bit roguelike where players enter randomly generated dungeons, tapping to attack beasts and other enemies in order to kill and loot them, hopefully eventually fining the exit. Looted items will help you level up members of your squadron and unlock new weapons. There are a wide variety of enemies, however the combat is remains super simple, just a tap on a button corresponding to the enemy you’d like to attack. This simplicity may be a turn off for some, but will likely appeal to clicker fans. 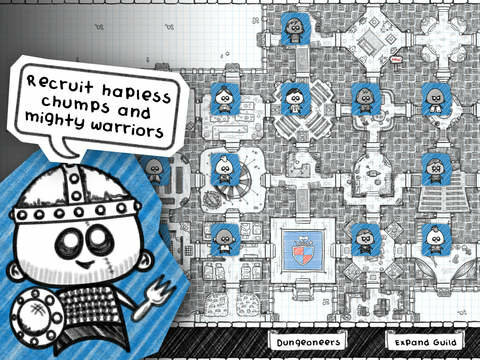 Finally that brings us to the iOS release of last year’s well-received Steam indie card-based RPG dungeon crawler, Guild of Dungeoneering. I have been eagerly anticipating this one as it offers up a really neat twist on the dungeon crawling genre. The player is presented with the shell of a dungeon, and an unattached room containing the big boss. On each turn, the player is dealt a hand of 5 cards of which they may play up to three. These could be anything from a new room or hallway for the dungeon, a minion that needs to be fought or treasure. Room cards can be used to fill out the floor plan of the dungeon so that your warrior has a pathway to the boss. Instead of directly moving your warrior through the dungeon from room to room, you place treasure and minion cards on rooms as carrots to entice your warrior to go in a certain direction. Should he land on a room with an enemy, then you and the enemy take turns playing attack/defense cards from your deck trying to vanquish the other first. If you kill the enemy, you get your choice of a selection of special cards which are added to your fighting deck, increasing the likelihood that you’ll be able to successfully defeat the boss when you reach him. It has great artwork and feels like it’s made for mobile platforms, despite it’s PC origins. Highly recommended.